My sister Denise and I signed up for a day with Orly Ziv, an Israeli nutritionist/chef, that included eating breakfast (at many different stops!) and shopping for ingredients at the Carmel Market and then cooking a multi-course meal in her home kitchen, and finally eating the meal with her family. All along the way, Orly taught us about middle eastern ingredients, food and nutrition. Here’s her web-site www.cookinisrael.com and I promise if you have time next visit to Israel, you’ll love this experience or others she offers around the country. It was delightful, fun, informative, and incredibly delicious. Coincidentally, the other participants were two lovely sisters from the US- one who works in the same healthcare domain as Chuck and one who used to work for my friend Mary at Boston College. 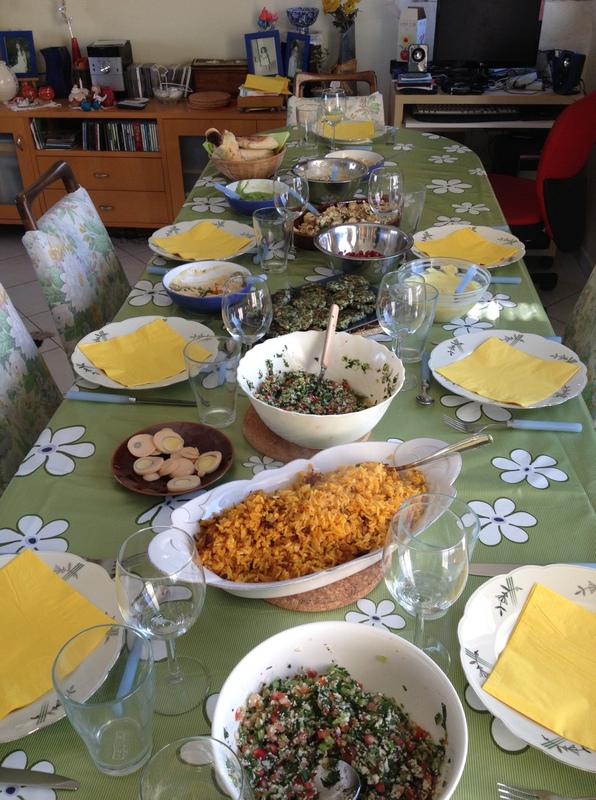 I plan to use all the recipes when I’m back at home and will invite guests to join in the bounty, so get ready. We started in the market/shuk with a breakfast stop at the exact same hummus joint Chuck and I stumbled on during our first week here! This time, I tried hummus with shakshouka, a mixture of tomatoes, garlic, onions and spices topped with fried eggs- delicious. At other stops, we tasted different kinds of bourekas, felafel, fresh pomegranate juice and breads. Good thing we were walking a lot…. 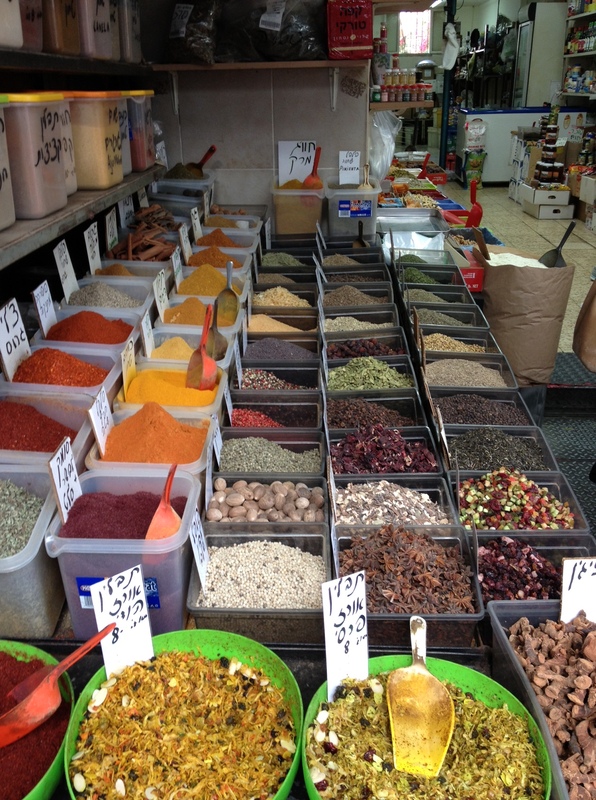 One of the most interesting stops in the shuk was at a colorful spice shop. In the front of the picture there are mixtures to add to rice to make all kinds of different ethnic flavors. Orly taught us about sumac, a gorgeous purple powder I recognized because it was on top of a salad we had eaten without knowing what it was. It has a lovely, lemony flavor and of course the color adds to the presentation. Needless to say, this isn’t the poison variety of sumac! 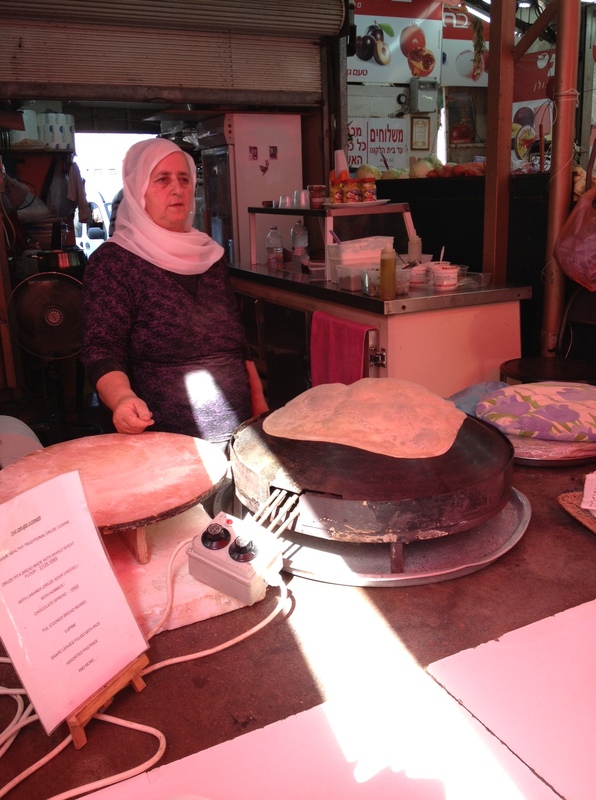 Another of our many stops was here, where a Druze woman was making bread with what appeared to be asbestos coated fingers as she handled the burning hot bread. We also visited a Yemenite baker whose little bakery room looked like it hadn’t changed (or been cleaned) in 100 years. Standards of hygiene and cleanliness are not what we’re used to in the US, but the food products are incredibly delicious and no one seems to get sick, so when in Rome…. For lunch, we cooked two different kinds of hummus, two different baba ghannoush dishes, gluten-free tabouli (the secret is tiny, food-processed pieces of cauliflower), roasted cauliflower with pomegranate seeds and silan (a date syrup I’ve tasted at my Iraqi families’ homes), fish kebobs with tahina sauce, Iraqi rice with red lentils called kitchry and a rich dessert called malabi. 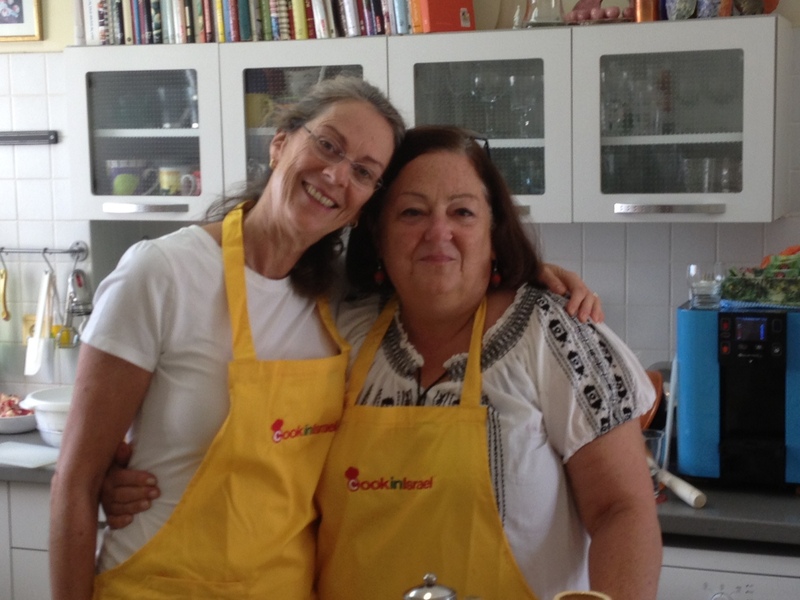 Here I am with my sister Denise in our Cook in Israel aprons, followed by the bounty on the table before we attacked it. I love being with my sister anywhere, but spending the day with Orly was a special treat that both of us enjoyed. Are you salivating yet? Reblogged this on Israel trip 2012. Hello- I am not sure if you got my previous email. 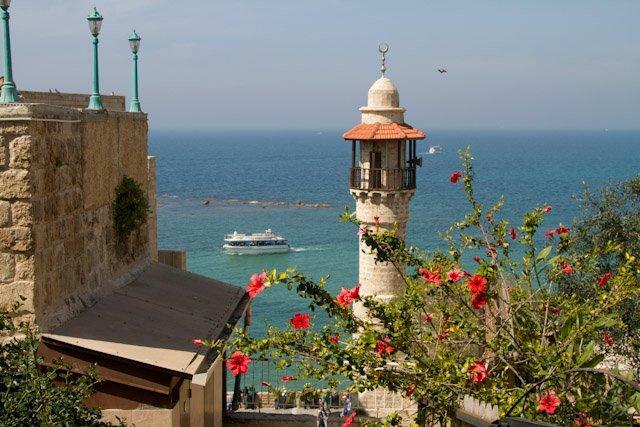 We will be in tel aviv July 12-15 and interested in a cooking class with Orly if that is possible. I am with my husband and 18year old daughter. Please let me know if his could work.